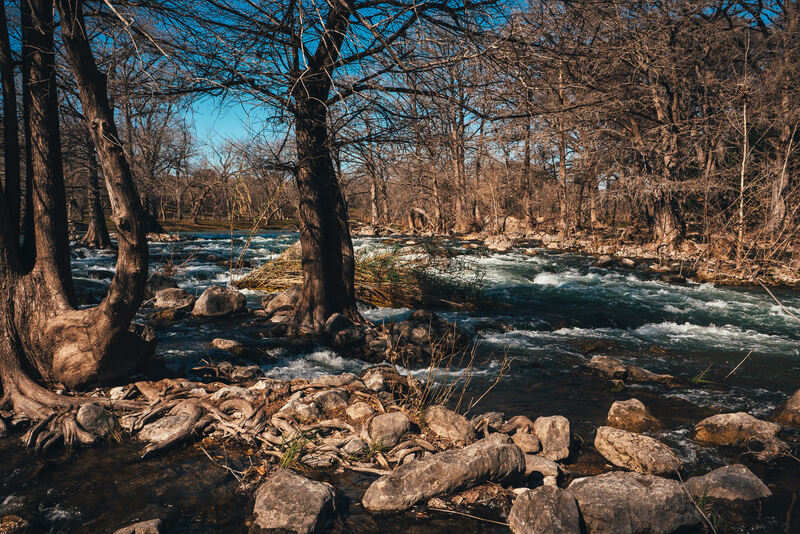 The Guadalupe River flows over rocks near Gruene, Texas. 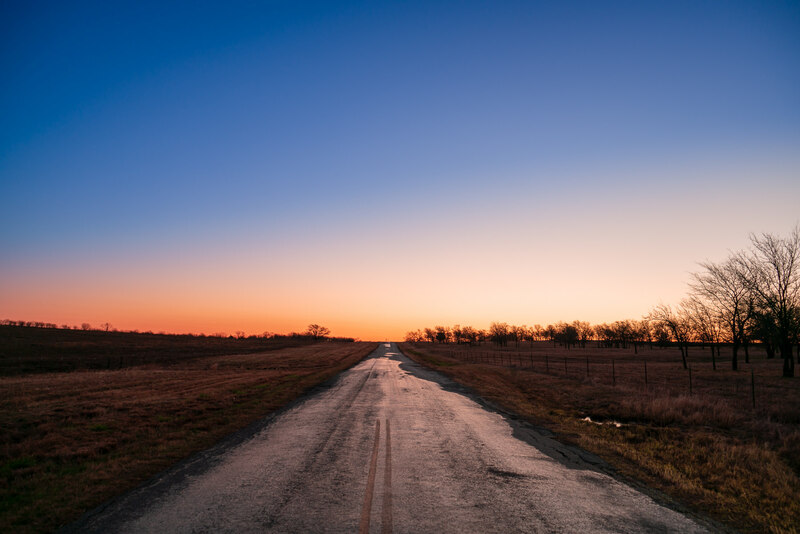 The first light of the day begins to illuminate a country road in North Texas. 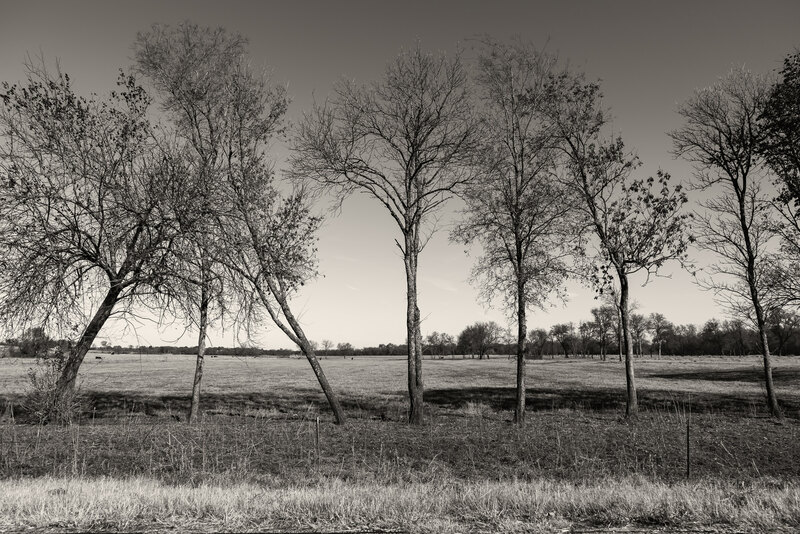 Trees grow along the edge of a farm field near Blue Ridge, Texas. 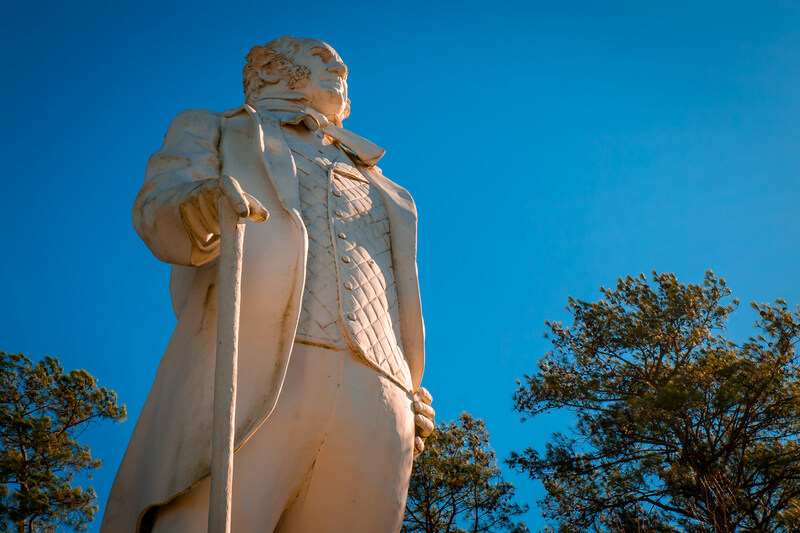 This 67-foot-tall statue of the first (and third) President of the Republic of Texas, Sam Houston, rises into the sky in Huntsville. 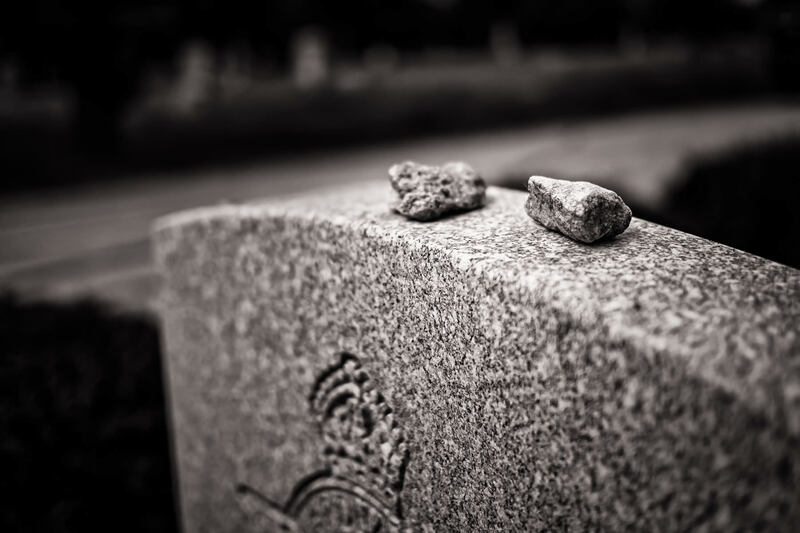 Visitation stones atop a Jewish aviator’s grave at the Royal Air Force Cemetery at Oakland Memorial Park in Terrell, Texas. 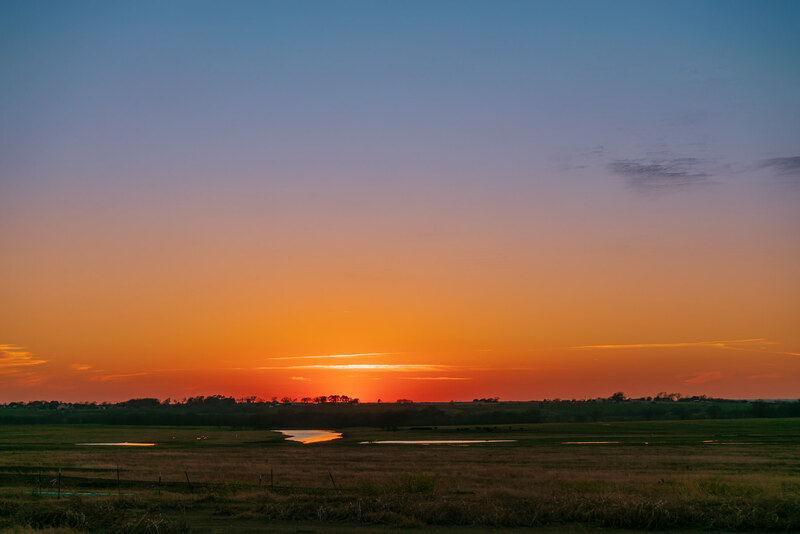 The RAF Cemetery holds the remains of 20 aviators who died while training at the nearby No. 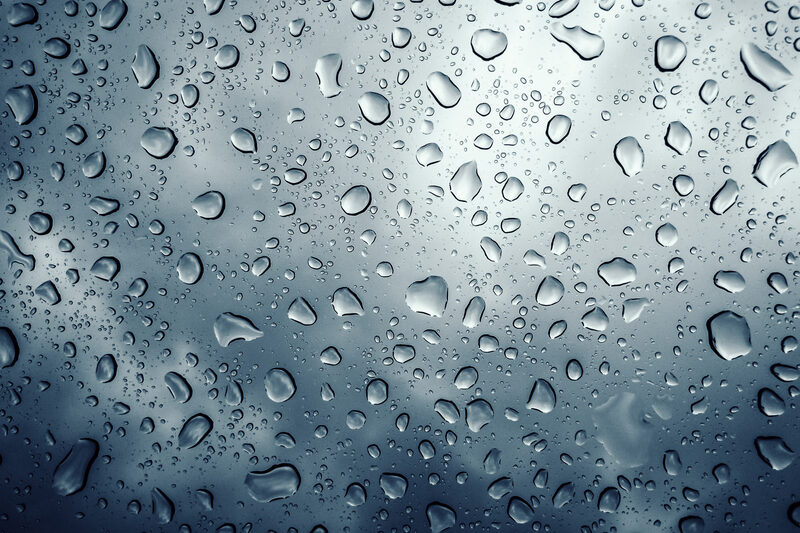 1 British Flying Training School during World War II. 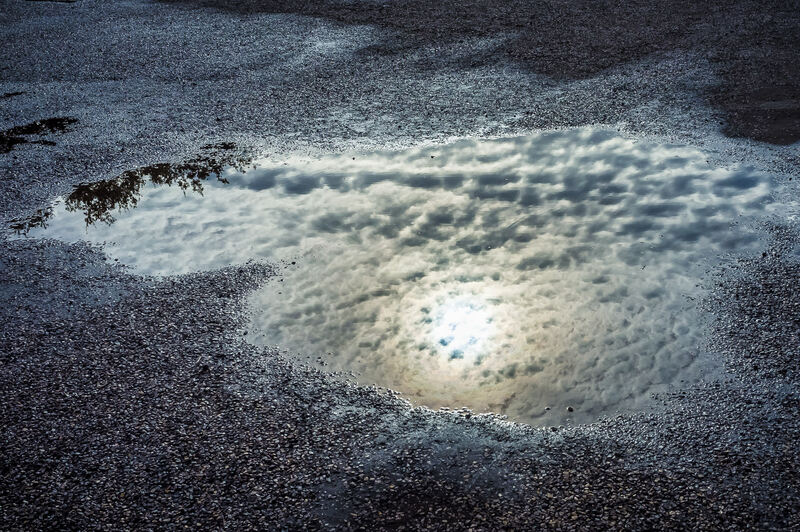 The sun and clouds are reflected in a puddle in a parking lot in Glen Rose, Texas. 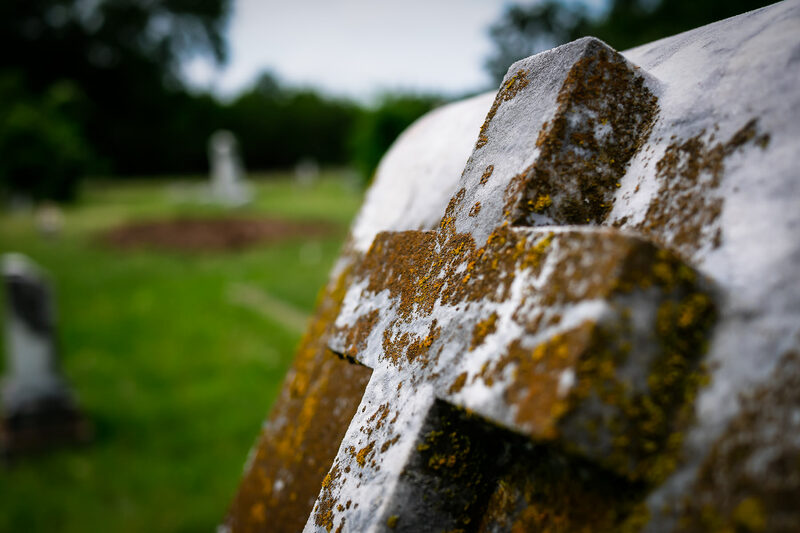 Moss grows on a cross on a headstone in Oakland Memorial Park cemetery, Terrell, Texas. 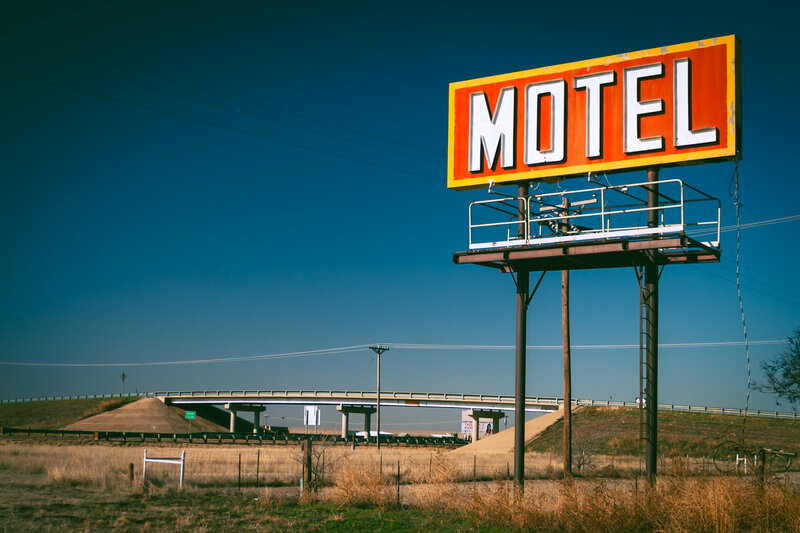 A billboard advertising at hotel in Adrian, Texas, stands watch over nearby Interstate 40.